In what it believes it is first-of-its-kind application from an automaker in the U.S., Hyundai Motor America is launching a customer-facing live video chat on its website. “HyundaiShowroom Live” on HyundaiUSA.com will allow users to interact in real time with a product specialist, who will answer their questions live as if both the user and specialist were in a showroom together. Live sessions will be offered Tuesdays, Wednesdays and Thursdays from 8 a.m. to noon PT. 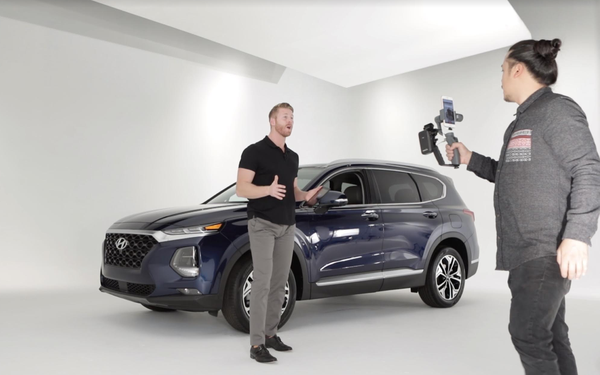 This is one way Hyundai is trying to improve the vehicle buying experience, says Hyundai Motor America CMO Dean Evans. “Customers are shopping fewer brands and completing most of their research online, so this tool is an opportunity for them to learn more about our vehicles from the comfort of their home,” Evans says in a release. During the sessions, a Hyundai product specialist will provide a detailed exterior and interior walk around a Hyundai vehicle and will respond to specific questions submitted by customers. A different Hyundai model will be rotated in the studio each day. At the scheduled times, the interactive chat platform, “Hyundai Showroom Live,” will automatically launch on the Hyundai website homepage and prompt interested consumers to enter. Users can ask a question of the presenter at any time through the video chat window. Product specialists see questions on their iPad screens, which also contain quick reference information about each vehicle to answer more technical user questions. Customers can click to the other sections of Hyundai’s website to learn more about the vehicle or to find a dealer near them. When the service is offline, customers get a message about the times when the sessions will be hosted. “Hyundai Showroom Live” is powered by Whisbi, a video chat provider, while Hyundai AOR Innocean is managing the production. 1 comment about "Hyundai Offers Interactive Video Experience". Check to receive email when comments are posted. R MARK REASBECK from www.USAonly.US , January 11, 2019 at 11:12 p.m.